Discover the Italian spirit of the King Valley’s winemaking families, at La Dolce Vita wine and food festival. In Spring, the winemaking families of the King Valley open their cellar doors to warmly welcome friends old and new. Celebrate the season in the Italian spirit, with food prepared by nonna or a renowned local chef, both new and museum release wines poured by the winemakers, and festival fun for all, big and small! 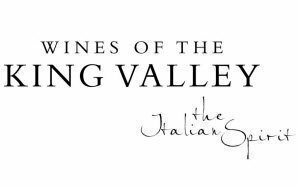 The King Valley is the Australian home of Italian wine styles, pioneers of Prosecco and innovators of Pinot Grigio, Sangiovese and Nebbiolo. Drink in the big, blue skies, mountain views and lush green vineyards of the region in Spring. Enjoy the generous hospitality of the winemaking families, and make memories with your friends and family – life is sweet in the King Valley! ¹ FESTIVAL ENTRY: Festival tickets include access to participating wineries, entertainment, free wine tastings and either a Spiegelau tasting glass (drinkers) or reusable water bottle (non-drinkers). All visitors to participating wineries require a festival ticket. Children play free. - All visitors to participating wineries over the age of 18 require a festival entry ticket. Children play free. - Responsible service of alcohol will be observed. No BYO alcohol or food; please leave your pets at home. Festival tickets include access to participating wineries, entertainment, food available for purchase that you can't get at other times of the year, free wine tastings, and either a souvenir Spiegelau tasting glass (drinkers) or reusable water bottle (non-drinkers). All revenue from ticket sales is invested into growing and developing the King Valley wine region.